Home Unlabelled Kindle Money Mastery Review: Does It Really Make You Money? Kindle Money Mastery Review: Does It Really Make You Money? Kindle money mastery is a course made by Stefan Pylarinos featuring videos and text that explains how you can make money online via kindle publishing. The whole course is simple and straight forward and it covers everything you need to learn whether you are a pro or a newbie in the business. The course introduces you and guides you through kindle publishing, detailing all the necessary tips and challenges you might encounter and how to deal with them effectively. The course is meant to inspire you to get into this business and create passive income and covers personalized experiences in video form. Disclosure-a membership program that is not free of charge. The kindle money mastery sales page is all about how easy it is to make money with Kindle and Stefan even shows some screenshots of his Amazon accounts to show you how much money he’s making. The principle behind Kindle money mastery is simply finding profitable niches and then outsourcing the book creation, so you don’t have to write the book yourself. All you have to do is the keyword and niche search and then outsource the writing of the book and the creation of graphics for the covers. This course will teach you all about finding a great niche to write an e-book and how to market it on the Amazon store. The Kindle money mastery course consists of a number of instructional videos that are direct and easy to follow. All the videos are in high definition which makes it easier for you to see what Stefan is doing. The program includes everything you need to know about kindle publishing and how to make money out of it. Kindle money mastery is built on the understanding that writing an e-book and marketing it appropriately are the two points to get you the dollars. How to find the most profitable niche. Variety of niches exists in the market today, but finding the right one is the key. This is all covered in the course. Tips on how to write your e-book. It’s not just writing that will earn you money, it must be high quality, targeting, well researched and market oriented. The program teaches you how to scale your business up while outsourcing the book creation. The program gives a graphical description template with great content that actually sells. Can you Really Make Money After a Month? That entirely depends on how fast you go through the course and how fast you can write an e-book if you are not willing to outsource. But you can indeed make your first earning after a month! I too was hesitant as I wasn’t sure whether it was a scam, as the deal seemed too good considering the amount that Stefan said he was making. Based on the many positive reviews that I read about the course, I decided to give it a try and boom! It happened. I wrote my first book and through the guideline in the course, I was able to polish all my weaknesses and eventually came up with a book that brought in more than I expected. However, how the program works depend on you. How fast you learn and whether you put everything you learn into practice. It took me 2 weeks to go through the program and a week to write the e-book. Sooner you will find that key than most e-book sellers are still searching. Of course you will improve with experience, and by the time you are publishing your third e-book, you won’t even have to check the course for guideline for you will have mastered everything. 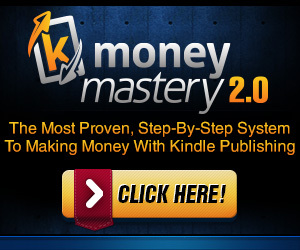 The Kindle money mastery system is not about writing a killer book. Most of these books are in the “how to” niches which provides solutions to people’s problems. Easy to follow with step to step guidelines. The program does not only give you the notes, but detailed guidelines with high definition videos that clearly bring the point home. Contains owners personalized experiences in video form. The program has a Facebook page to enable you share your likes and experiences with like-minded people. The course does not only provide the outline and how to guide, it also provides tips to get you motivated throughout. It does not provide an immediate source of income, you have to learn for some weeks and create an e-book if not outsource. The cons were really hard to find, but of course nothing is perfect. If the course was intended to bring a lump sum in a day, it would most probably be dismissed as a scam by many. On the whole, Kindle Money Mastery is a really good course. First, it teaches you how to, and takes a good approach to finding niches, teaches you how to create and write a book even if you have never done it before, shows you how to market and publish the book and most important puts you in a position to earn a good sum and succeed in life. I would recommend this course to any person who intends to learn and make a descent earning of it. Kindle money mastery is the ideal course for making passive income.